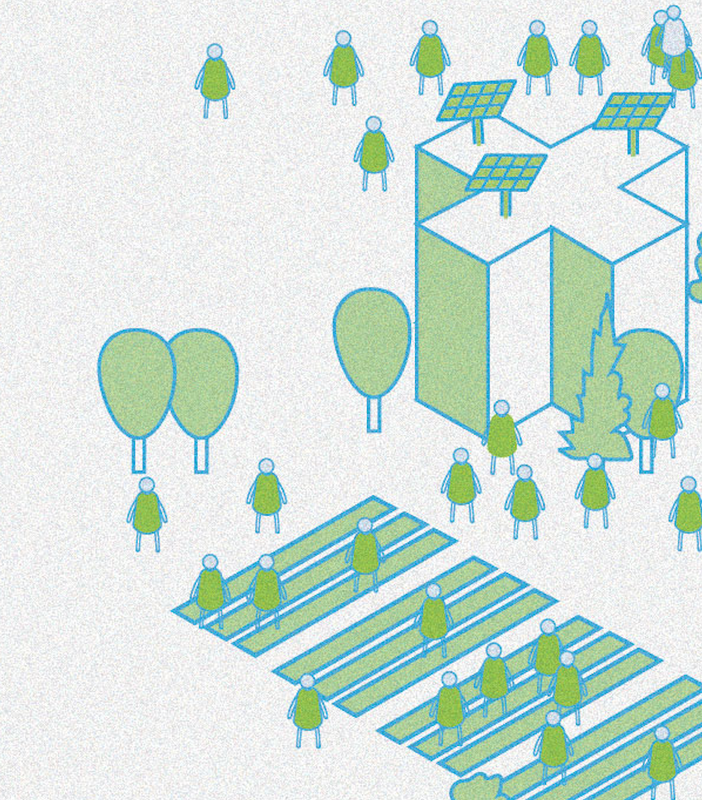 As a Graduate Assistant this fall 2018 and winter 2019, I am delighted to work with Anne-Laure Fayard, a professor at NYU who specializes in design thinking, on a service design project for Green City Force, an organization that has successfully set up a model that trains youth from the projects to pursue careers in the green economy. Happy to help an organization that supports future change-makers. In service design (as well as UX Design) journey maps are used to show the user/customer/participant journey from touchpoint to touchpoint of the experience that the organization/company/service offers. In this case, we do not introduce a persona, but keep the journey map general, showing instead the groups of program participants who complete the Green City Force program. 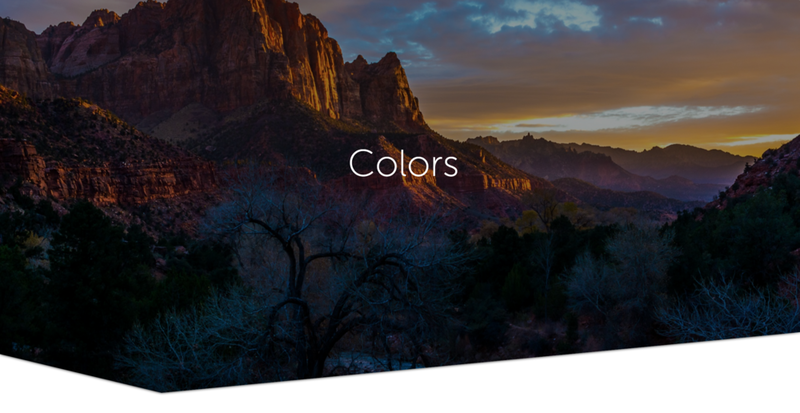 The concept behind the colors is pretty straightforward. Green City Force’s green training initiatives help neighborhoods become more sustainable over time. This is shown through the green color permeating the blue composition from left to right, which represents the movement through time. 75% of the residents of NYCHA (NYC projects) who are between the ages of 18 and 24 are unemployed. The people behind GCF (CEO and founder Lisbeth Shepherd and her group) observed that these young people are potential future change-makers with untapped creativity that can be directed towards NYC’s green initiatives. GCF received funding from AmeriCorps to pay these motivated young people while they receive training in sustainability and serve their NYCHA communities. The program is very successful and the organization is thrilled that Anne-Laure Fayard and I teamed up to work with them to codify and illustrate their organizational and service models through journey maps, ecosystem maps, and other future codifications. The promise of such work is that, once described and recorded, it can be recreated in other cities, helping our ecology and our communities to thrive and teaching young people green economy and leadership skills. 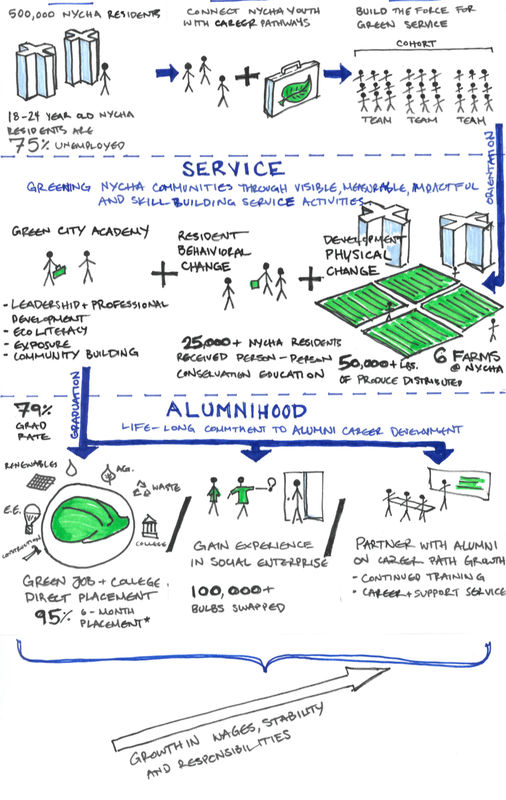 The next steps are to create this type of infographic for the Green City Force website and create a touch-point map. Some previous iterations and sketches can be seen below. I was thrilled to join the Placemaking Reimagined (previously called Crimson Wave) Design For America project in the summer of 2018. During winter 2019 we are testing our pop-up exhibition prototype that showcases our research on homeless women in New York. Tabby and Abby’s Journeys is a mobile pop-up exhibition co-created by DFA NYU team and two women they met on the street. It affords a place to share their perspectives while inviting the public to become aware of their specific individualities - seeing them as persons with feelings and stories rather than "the other" who they prefer not to see. We explicitly chose to not refer to Tabby and Abby’s current housing situations because we want to make it clear that this is not what defines them. This is not their identity; it is a temporary (alas temporary can last for more than a year) situation – a moment in their lives. In parallel to each “happening” (taking place for a couple of hours to a day or two), we are planning a panel discussion with experts (a mix of social activists, some of them homeless-turned-activists, housing policy experts, and academics) on the topic of housing in NYC. We hope that these experts will provide complementary background as well as generate opportunities for further conversations. In April 2017, our team invited one women to join us for a co-creation workshop on how to create a space for women living outside. This is a photo we took when she was doing the card sorting activity, in which she ranked the door as her priority, a shower as second, a toilet as the third, and so on. These facilities that we take for granted for living inside are almost unimaginable for the women living outside. As design thinkers, we strive constantly to think about how can we create a space where women can gain equal access to these facilities without barrier. Since then, the project has changed considerably but this exercise provided us with valuable insight into the lives of the women we continued to visit for the next year and a half and who we continue to visit today. The pop-up exhibition is envisioned as mobile – potentially packed in a cart or a couple of bags, similar to the stuff homeless people carry around. It will combine several elements produced by the women, connected to their experience, as well as reflect our own experience and how we changed through our encounter with them. Locations: Playground Coffee shop, public parks and spaces, student centers. Playground Coffee Shop, a community space, and coffee shop focused on social and conscious awareness in Bed-Stuy, Brooklyn. In our neighborhood, we provide a space for local activists to organize around poignant issues. In aiding the community we exist in, we not only want to alter the thinking of the community but of the entire culture. Introduction: A quote by Tabby or Abby printed. It will state the “tone” but without referring to the fact that they are homeless. It will highlight their feelings. Tabby’s Photo Journal: A booklet presenting photos taken by Tabby with a disposable camera in April 2018. Tabby documented her everyday life as well as evokes her feelings about the situation and her aspirations for the future. It will be available for visitors to look at. Abby’s story: Four audio stands will be provided. At each of them, short excerpts from recorded conversations with Abby will be looped. They offer us a deep understanding of Abby’s emotions and perspectives on the world and life. View from the pavement: a time lapse video taken from the point of view of Tabby and Abby’s sitting on the floor will be projected on a wall. It will allow viewers to “see” the world as they see if most of the day: sitting on the ground, watching people walk by everyday as if you are invisible. When their stories become ours: Based on our field notes (taken after each our visits), we created visual notes that illustrate Tabby’s and Abby’s perceptions; our reflections as we visit them and know them better; and strangers’ views of homeless people. Books as a safe place: One thing we discovered was both Tabby and Gabriella love reading. It provides them a way to focus and forget the street and people passing by them. It also allows them to escape in an imaginary world. We experimented with a mobile library and provided multiple books to Tabby since last May. She took notes on her readings. We will provide a snapshot of the books and thoughts she had. We will also provide a list of Abby’s readings for the last year and some of her favorite reads. Call to action: None of the people living on the street had ever thought they would be “there” one day. No one grows up thinking “one day I’ll be homeless” as Tabby reminded us. And yet, due to a series of circumstances, it happened to them. As people live the pop-up exhibit, we want them to take the time to reflect on their experience, and hopefully realized that their perception about homeless women changed as they can now put faces and names to this generic figure. We want them to provide them with means to go beyond this awareness and engage actively in helping the women. We will offer them three options and ask them to commit to it by posting their future action on a board. This act will hopefully (at least according to research) increase their commitment to action and it will also visualize in the space the future actions of visitors creating in a way a form of initial collective action. 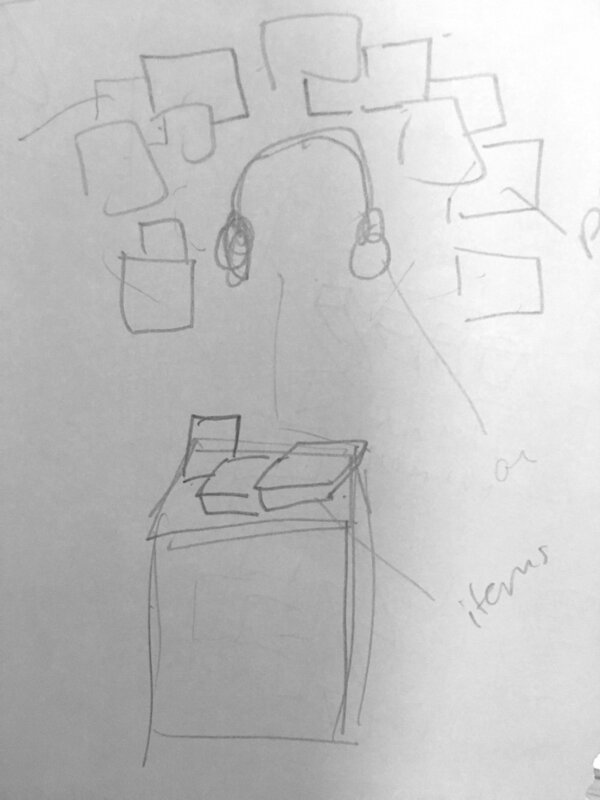 Listening station sketch with objects from Abby - her books and notes from our field research with quotes posted on eye level. Quotes to be used to tell the story of Tabby and Abby’s struggles with survival, social services, and the public as well as our impressions, observations, and reflections as they become more nuanced over the year-and-a-half that we have visited these these women on a weekly basis. Sketch of action table for the pop-up exhibit at the activist space Playground Coffee Shop in Bed-Stuy, Brooklyn, NY. Exhibition pop-up for a cafe where we can also hold a panel with members of Picture the Homeless and others Iist TBD). Below are some photos of prototyping feedback sessions at Design For America critiques, where the community reviews our progress and gives us suggestions for further research or implementation. Our team PlaceMaking Reimagined is a DFA NYU team. Design for America of NYU is a student club using human-centered design to address social issues in their local communities. In 2014-2016, a DFA team (including Anne-Laure Fayard) worked on a project aiming to empower women. They participated in an open innovation challenge on Women Safety and their idea, the Bindi Project, a community-centered program, was selected as a winning idea. They collaborated with a non-profit based in Kathmandu Nepal for 18 months and did a one-year pilot with 36 women in a slum of Kathmandu. They also did in winter-spring 2016 a 6-months pilot with a NY-based non-profit organization working with immigrant women in Queens. Placemaking Reimagined aims to explore solutions to provide homeless women with the private spaces (physical and emotional) that they miss. In doing so, we hope to afford them ways to feel safe and clean and keep a sense of self. The project started in September 2017 and since March 2018, our team has been regularly interviewing and visiting women living in the street in order to develop a better understanding of their needs and explored different solutions to support them. Ashley Tang is a senior in New York University majoring in Media, Culture, and Communication and minoring in Anthropology. Interested in humanitarian topics with a background in media, she has explored many different social issues through interdisciplinary approach such as documentary film, audio recording, and participatory media. As part of the of PlaceMaking Reimagined project since September 2017, she had been conducting various research about different topics on homelessness including housing, shelters, city policies, gender dynamic, homeless women’s hygiene problems, etc. She participated in the curation of UNSPOKEN : Stories About Life After Immigrating, a pop-up exhibition using interactive methods to explore how immigrants / non-immigrants shed their boundaries to truly understand each others' needs. Katya Rozanova is a Brooklyn-based artist, designer, and technologist. Currently she is pursuing a master’s degree in art and technology at NYU's Interactive Telecommunications Program, where she uses traditional and emerging technologies to create work that examines people's understanding of one another and their environment. Kesley Murphy: As an MA student at Gallatin, Kelsey is studying how we can better engage with our local communities through creative uses of art, technology, and communication. Her goal is to study the effects of creative media on political and civic engagement and understand how - in such a segmented and saturated media landscape - we can engage with others, reach across the aisle, and make a lasting impact in our local communities. Through her research she hopes to understand how we can use storytelling and different modes of art and media communication to influence perception, decisions, and behavior, and to what extent they can help build institutions and drive progressive policies that push society forward. Prior to enrolling at NYU, she spent two and a half years working with Courage Campaign, a California based grassroots organizing nonprofit. She designed and implemented campaigns that targeted specific audiences by leveraging insights from data analysis to effectively encourage social and political action. Anne-Laure Fayard is the faculty advisor for DFA NYU and has been working with the PlaceMaking Reimagined team as a main mentor since Fall 2017. She is supporting all DFA projects as a faculty advisor but was a mentor and member of the Bindi Project. Anne-Laure is an Associate Professor in the Department of Technology Management and Innovation and in the Department of Technology, Culture and Society in the Tandon School of Engineering at New York University. She is also an affiliate faculty with the department of Management and Organizations in the NYU Stern School of Business. Some of her research interests include collaboration, communication, design, space and culture. Anne-Laure Fayard has developed or curated several installations and exhibitions in the past such as Building_space_with_words: An interactive, multi-media installation exploring the relationship between physical and virtual space (2010), Neo-nomads: what travels with you? A group exhibition at the BRIC Rotunda Gallery in Brooklyn (2011). More recently, she’s been developing tangible visualizations and interventions to study interactions and collaborations in maker spaces. Started at September 2017 with the idea to address hygiene issues homeless women face during their menstruation period, we later found in the research phase that there’s a much greater need for a private, safe space where the women can clean themselves and feel dignified. We therefore developed our opportunity statement into “There is an opportunity to provide homeless women with private space so that they feel a sense of safety and cleanliness.” Currently in the prototyping phase, we have been doing several rapid prototypes and build relations with a few homeless women. This led us to come up with some intermediate actions while refining our idea of a private space. Through out the process, we gained many insights, such as the different needs of the diverse types of women on the street, the common wish of the women for a private space where they could contain their “old self” and feel dignified, the lack of sense of community within the homeless women population, and the fact that we should always ready to be surprised and be flexible for changes in the Human-Center Design process. Some progress can be seen on our instagram account. Think Local is a theoretical service that alerts you when important local decisions are made. It encourages attending community meetings with friends and keeps you in the loop of local issues you care about. 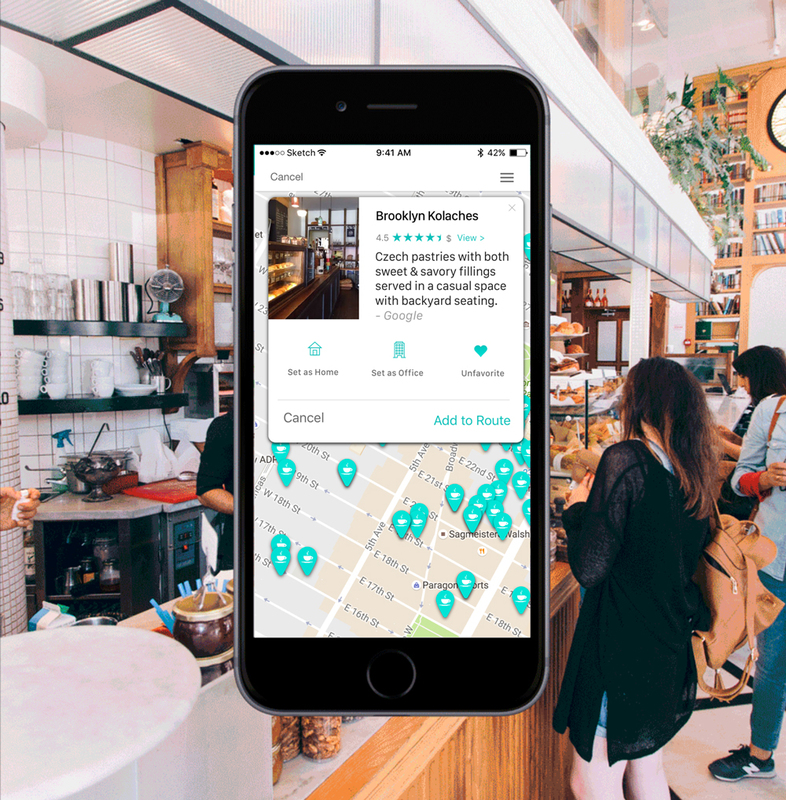 Think Local is a digital product/service for improving civic engagement. The idea was sparked by the North Dakota pipeline incident. I reimagined what the scenario would be like for a Brooklyn neighborhood and how engaged citizens would congregate, educate themselves on the topic, and voice their concerns at city council meetings before it was too late. Research shows citizens, no matter how busy, can handle more engagement with local politics as long as they are provided a well-designed system to operate in and enjoy. In Progress. I plan to update this throughout the year. Working on a team with Anne-Laure Fayard and team at NYU and Dani Laurence of I Am Your Protector to research and prototype safe spaces for Muslim LGBT youth in America. We are in the research phase as well as the ideation phase (see next section for ideation). The research phase consists of finding blogs, papers, and articles written on the subject of LGBTQ Muslims, mainly in the States. This secondary research was followed by interviews with experts (leaders of LGBTQ and Islamic Communities - Imams, professors of Islamic Studies, LGBTQ leaders), users (LGBTQ Muslims), and analogous users (not specifically LGBTW muslims but those who may have translatable experiences and insights, such as LGBTW Christians or other intersectional minorities). The current phase is Ideation (though Research continues as well, see previous section). During this phase we amass the data and insights we collected and find patterns, which then inform our next steps. Currently the next step is more primary research with users via interviews and anonymous polls/surveys using social media groups where the LGBTQ Muslims exist and interact as well as physical fliers in public spaces (such as bathrooms in bars and coffee shops that are likely to be frequented by members of the Muslim and LGBTQ communities. Our main take way so far is that we need to create a space for the LGBTQ Muslims to build more of their own safe spaces. We also learned that anonymity is still very important in this intersection. The idea is not to push these people into the spotlight but to create awareness about the diversity of Muslims and raise the voices of those who do wish to be heard, even anonymously. We are not yet technically at the prototyping phase but our research includes creation of flyers and surveys that will help us generate more knowledge and insights. Based on the extensive research done so far, we think that our final prototype will likely be some form of co-creation with the users as we are not in a position where we can create the spaces these groups can and need to create on their own to keep them private. Our role will be that of facilitators and our users will be the experts. I created illustrations, which were animated by Josiah Kruse, a developer at the Freelancers Union. 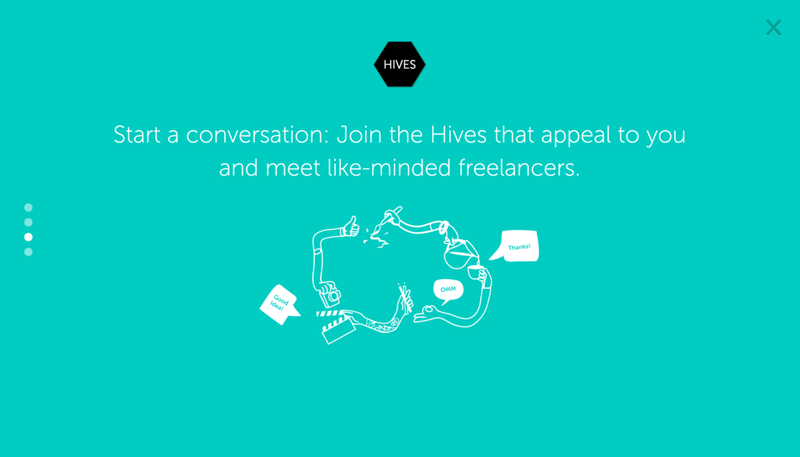 To see it in action, go to "What is HIVES?" band at the bottom of the HIVES page. 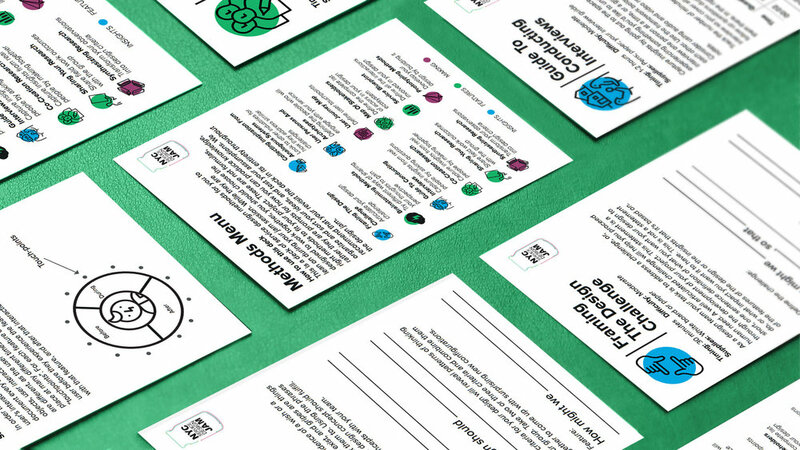 We created a deck of methods cards operating under a few self imposed criteria. You can download the cards here! My process is outlined in this User Experience Portfolio. Serving as visual and interaction designer on this project, I was excited to work with the technology team at Freelancers Union to redesign the website's user experience. Inspired by Google's material design aesthetic and service design principles for social innovation, we created an elegant and easy-to-use tool that independent workers can use to connect to one another, find work, and apply for benefits. 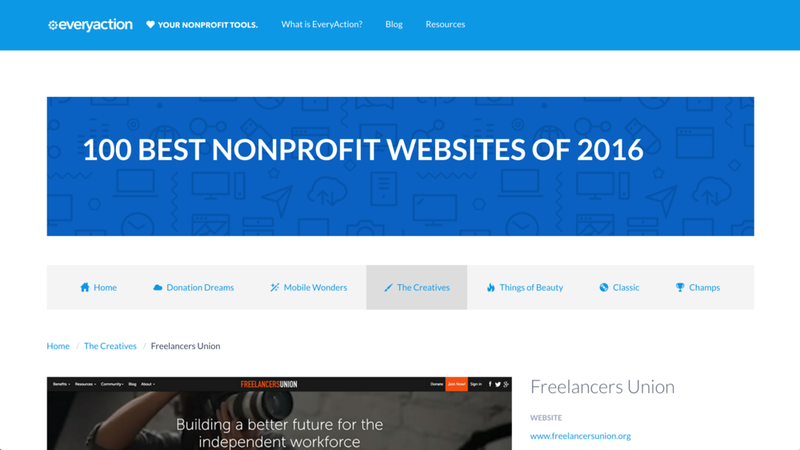 Excited to learn that the website I created the UX and Visual design for has been featured on Everycation's 100 Top Non Profit Websites of 2016. Freelancers Union is a organization that advocates for independent workers and their education in their fields. This website is a great example of how to take a familiar interface, but keep it from being stale and boring. Their use of angles is, although possibly over-ambitious, is just an example of the many ways to freshen up a less than original design. A lot of the images and icons on the site do a great job to illustrate the fun and spontaneous mood that the mission of the organization suggests. This is a rebrand and campaign for the Direct Marketing Association's annual conference, &THEN. Our team at concepted several promotional campaigns for &THEN. 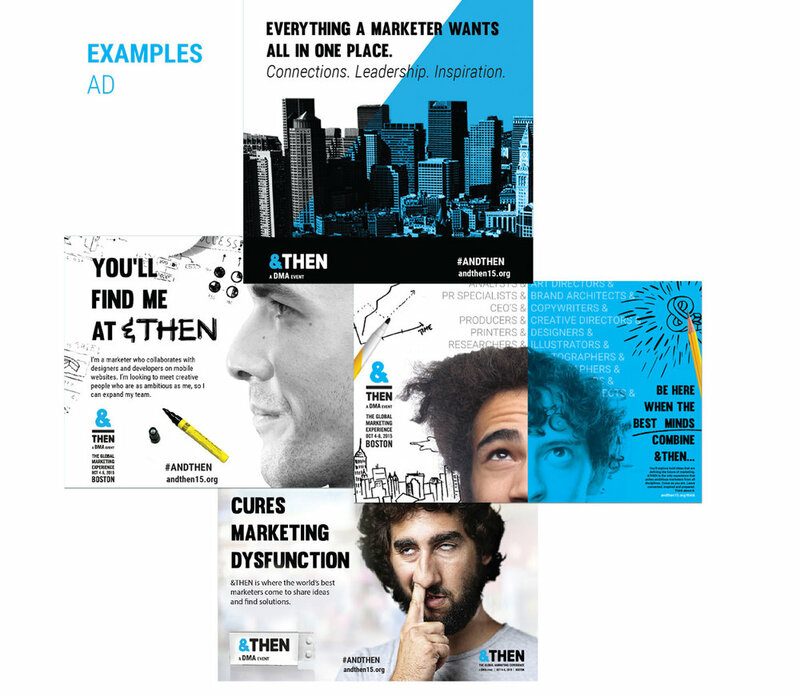 These are: "It's like" ("Being a Marketer at &THEN is like being a music nerd in a record shop", "product" ("&THEN cures marketing dysfunction"), "great minds coming together at &THEN", and finally the "profile of a marketer/designer/leader" campaign (see examples). These are multifaceted campaigns that target marketers who are interested in gaining new industry knowledge, finding their strengths, and being more creative in their area of expertise. “Marketing that doesn’t feel like marketing” is a humanizing approach that takes the “predictable” and “corporate” out of marketing. I was excited to participate in the Global Service Design Jam last year. I worked with an amazing team to create a theoretical service that would make it easier for those who are interested in helping Syrian refugees act on their intentions. It was fun and a great way to flex the creative muscle. We are working to make this project a reality. The project our team at Global Service Jam prototyped is called Slact (though we think the name should change to something less tongue-in-cheek since this name trivializes donating from the comfort of the internet. We are thinking naming it NowYouCan). It is an widget that pulls in tasks or donation opportunities from IRC, UNICEF, Kiron University, and other organizations in Lebanon, Turkey, and Europe. This widget will be embedded after articles about Syria. Our research shows that people are most empathetic toward refugees after reading about them or watching a video. We believe giving people several options for channeling their inclinations to help others would foster a sense of agency. a platform that tracks, visualizes, and rewards people's impact within their social network is the key to a sustainable donation practice. Tasks pulled in for US users will be mainly monetary but the app/widget's features - it's transparency in how long tasks take and the 'view your impact' visualizations - will create delight in donating money. For Lebanon, Europe, and Turkey tasks have an even bigger opportunity to be social. A school in Turkey can provide a workshop where kids can learn something new together from an equal playing field. The teachers from the school invite their friends to host workshop. It becomes an event where adults bond and network while providing value to the kids. For young adults in Universties, this could be bike trip that they would have been taking in cycling club but this time it's also with refugees their age. A group of Turkish students learning English has a club where they practice english. They invite refugees to this club and help them learn English too. This is mutually beneficial because everyone gets to practice skills while hanging out with friends. For those who donate only, there is an option to sign in, create an account, and connect with likeminded people in your area (location based social discussion board, feed, links with Facebook). Engagement builds is what our team found and people tend to help more when others can see and appreciate their efforts. The social network (mentioned above) that connects likeminded people will help sustain the practice of giving. In addition, we are considering partnering with organizations like Amazon. For every x number of dollars/points the platform user spends they can apply towards fulfilling their own needs. For US users especially, it will be important to create mutually beneficial partnerships with news organizations that would want to feature the widget in the middle or at the end of their articles. Organizations under considerations are: Aljazeera, Huffington Post, and Washington Post. Readers have been asking how they can help (a friend of mine who works at New York Times mentioned that readers often write in to ask how they can help after reading one of your articles). The widget's "spread awareness" option would increase article shares and impressions. A quick poster for an art collaboration, an Art and Music event in Baltimore following the police violence instigated riots in 2015. "The message: #thisisbaltimore wants to show that Baltimore has a beautiful side" as well as provide a forum for discussion and an outlet for expression in light of current events. 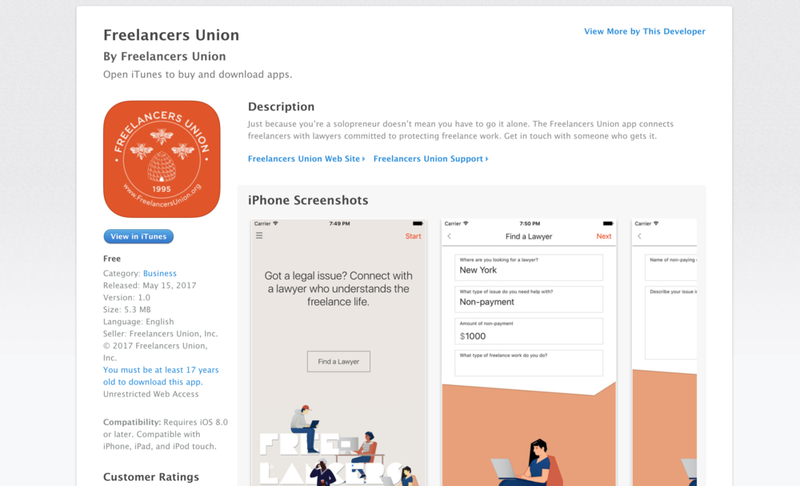 Freelancers Union App connects freelancers to lawyers within their freelance community. Freelancing is growing, especially in New York, and the infrastructure to support the new working class is not in place yet. Freelancers often lack legal protections that are in place for full time workers. This app helps fill this gap. I was thrilled to work as a product designer with the team at Freelancers Union to create the user experience and visual design of this app. I admire the work they do to build a peer-to-peer network of independent professionals. I used Sketch to create the design, Zeplin to communicate the designs to the software engineers, and InVision to share with the internal clients. The app was coded using React Native. 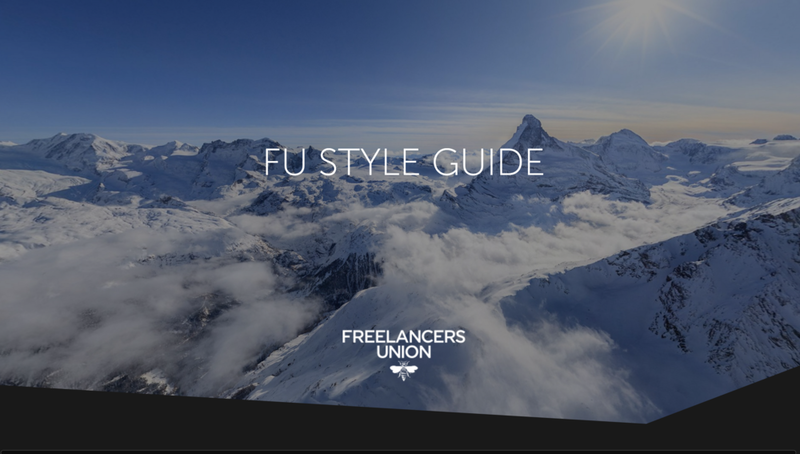 The look and feel of the app is in line with the Freelancers Union online style guide that I helped create the year before but slightly more toned down. While we still adhered to elements of Google's material design and used the brand's bright orange for UI in the app, the overall look is more minimal and the palette is lighter and earthier. I'm excited to join Limassol Zok for the Walkntalk app project. 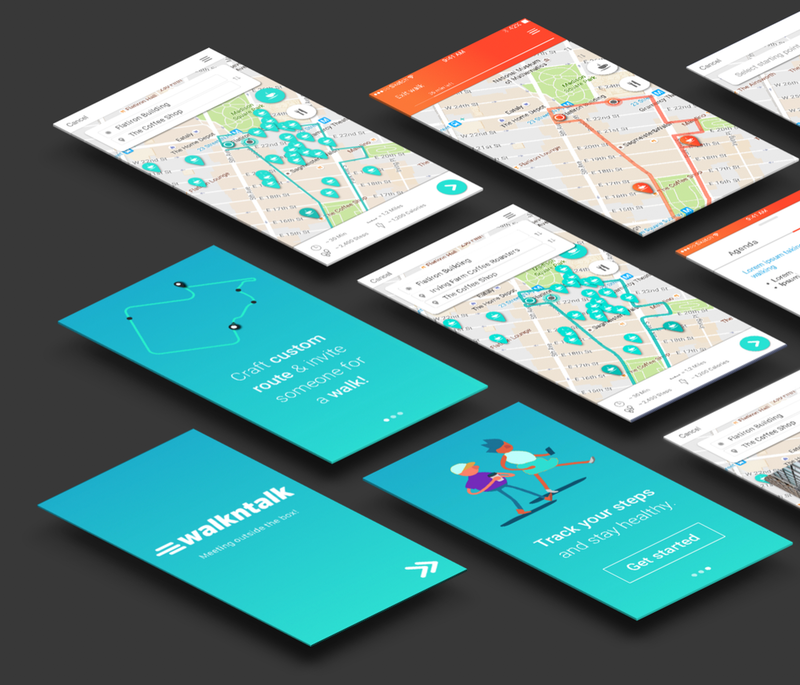 Walkntalk is a walking meetings app for those who want to be productive and stay healthy at the same time. While at Travel Channel I pioneered the in-house creation of mini sites, which were sent to TV critics in order to promote shows. This is my favorite out of many more I have created.